The other night I found myself channel surfing like I sometimes do in the wee small hours. On this occasion, Sleepless in Seattle happened to be on, so I began watching, happy to revisit what is admittedly an old favorite of mine. I know it’s hard to believe, but I do love me some schmaltzy love stories, particularly those that have a hint of nostalgia to them. However, it wasn’t long before I began to realise something. Everyone knows the premise of Sleepless. Sam Baldwin (Tom Hanks) is a widower living in Seattle when his son Jonah decides to play matchmaker, calling Dr. Marcia Fieldstone’s late-night radio show and telling her about his father. Sam stumbles upon his son’s plot and becomes an accidental guest on the radio program. Meanwhile, a thousand miles away, Annie Reed (Meg Ryan) happens to be listening as Sam recounts his story, and she immediately falls in love and sets out to win his affection. Cops would receive reports of a strange woman loitering by a neighbours porch. The film is loosely based on An Affair to Remember starring Cary Grant and Deborah Kerr. The modern incarnation does not involve a car accident, but like ‘An Affair’, it does involve a rendezvous on top of the Empire State Building. ‘Sleepless’ is written by the late, great Nora Ephron. Ms. Ephron began as a journalist for the New York Post, before becoming a columnist on women’s issues for Esquire. She was also a playwright, a screenwriter and finally a director. Her resume reads like a chick flick hall of fame. In addition to ‘Sleepless’, Ms. Ephron is responsible for Heartburn, When Harry Met Sally, You’ve Got Mail, and Julie & Julia. Personally, I think she is the reason why Meryl Streep and Meg Ryan have had such great careers. Well, Meryl is still going strong. As for Meg . . . let’s just say collagen is not her greatest friend. 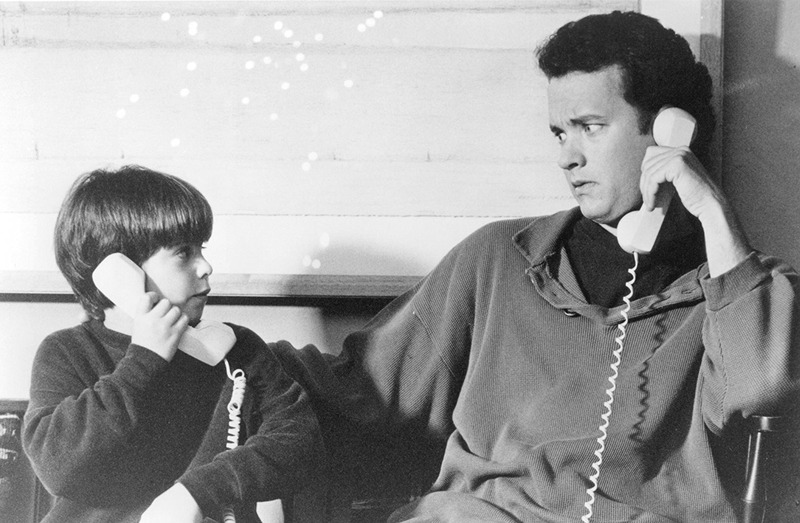 Sleepless in Seattle was made in 1993. That was 24 years ago, and the love game has changed drastically since then. While this movie was a hit, I doubt that it could be remade today without the kind of drastic overhaul that would probably cause Ms. Ephron to roll over in her grave. First of all, does anyone listen to the radio anymore? With VEVO, Pandora, I Heart Radio, Tidal, et al, there is no need to turn a dial when these services are just a mouse click away. The 2016 version of ‘Sleepless’ would probably start out with Meg listening to a podcast. Come any closer and the bear gets it! In the original Sleepless, Meg is a writer for the Baltimore Sun, and just for the record, when I was working in Baltimore the Sun was in the midst of a huge round of staff lay-offs, and Meg would probably have been a freelancer for The City Paper. Back in 1993, Meg was able to do research on her future beau by utilizing the data services of the Sun. Although in her defense she was supposedly doing a story about Dr. Marcia’s show, I do know that if you utilize your company’s internet for things like personal research on a guy you want to hook up with, you get fired. So much for that idea! Meg even goes so far as to hire a private detective to spy on Sam to see if he is involved with anyone. Even when I saw the movie two decades ago, I thought this was a bold choice. Then I began to wonder, since I had a crush on David Letterman, if I could do the same thing and not get caught? Now, before you go labelling me a stalker, let me assure you that I did not go through with it – I didn’t have the money to afford that kind of luxury – but if Annie tried hiring an investigator today, someone might be obliged to tell her that she was being creepy, and that is not a romantic gesture but a very serious invasion of one’s privacy. Instead, Meg could do it the acceptable way by lurking on Facebook and checking on Tom’s page, maybe even follow him on Instagram and Twitter if he has accounts. That way she would always know what he was doing. For a nominal fee, she could even sign up for Been Verified and get all her intel that way. This site will tell her if the object of her obsession is a felon, if he owns property, how good his credit is, and whether or not he has a college degree. What more could a single woman ask for? Annie receives the first of many court injunctions. In the movie, after a detective gives Annie some pictures showing Sam on a date with a woman, our deranged prowler decides to fly to Seattle to see if she can make contact with him, as if this was the logical course of action. Um, okay, then I guess the takeaway would be stalking a potential love interest is perfectly acceptable, and even encouraged. How romantic! If he happens to catch you, you can always look at him shyly, smile and chalk it up to the fact that you are just being cute. Maybe someday, you can even write a screenplay about how you met. Thanks for checking the article out, Don! I remember living in Seattle when it came out and all of my friends suddenly wanted to know all about Seattle. You should have warned them, lol. Thanks for reading & commenting as usual, Patrick! I remember living in Seattle when this came out and all of a sudden my friends wanted to know about Seattle.